Initial Coin Offering or ICO – is a tool for attracting investment that is increasingly applied by start-ups. The ICO market is actively developing: according to the June report of Coindesk, blockchain projects of 2017 had attracted $327 million with the help of ICO by the beginning of summer, which is more than the amount invested by venture investors ($295 million over the same period). Although, the authorities of many countries have not yet define their attitude to this financial instrument, and some leading countries have already begun to ban ICO. All this means that those who were going to launch ICO are better not to delay the release of tokens. We will show how to draw attention to this process with the help of content marketing. The first step to be taken by all ICO organizers is to post information about the upcoming release of tokens on special online calendars. There are many resources on which the scheduled ICO can be published. You can find such sites not only in English, but also in Russian. In addition, if a popular blockchain technology (such as Ethereum) is going to be used for ICO, you should google the calendars that mark the projects that are run on it. If you look at the other popular calendars, you can see that many projects put information about themselves wherever it is possible. And this is the right approach, because journalists and technoblogers create their own collections of the kind “Top-N upcoming ICO for investors” based on data from calendars (here is an example of such article). ICO calendars are good, but publications on such resources do not allow you to get an immediate response from the audience and do not explain how serious may be the interest to the project. Therefore, the logical second step in advancing ICO should be the publication of announcements and links in social networks and communities. An example of a reddit post about ICO. Specialized Forums.The most famous is Bitcointalk, activity on it is carried out by almost all the projects conceived by ICO. Thematic subreddits on Reddit:/r/ethtrader/ (~84000 subscribers), /r/icocrypto (~9500 subscribers), /r/Bancor/ (~ 2600 readers), etc. Quora discussions:there are a lot of discussions here about different ICO, specific cryptocurrencies and blockchains, in which you can actively participate. LinkedIn professional groups: there are lots of groups, for any taste, with thousands of members, and here are just a few: one,two, three, four, five. Facebook groups: issues of ICO, cryptocurrencies and blockchains are also discussed on Facebook, here are some of these groups: ICO, Funding, Angels, Seeds, Investors, Startups. In many of the listed groups and communities there are rules that should be followed, but these resources cover hundreds of thousands of people – which opens the door for action (including guerrilla marketing). After the publication of announcements on the calendar sites, thematic forums and in social media groups, it is time to work with online media. There are a few different options available. First of all, the project will need its own blog, in which it will be possible to publish news, press releases and details about your activities. Usually the Medium platform is chosen for these purposes. This article provides an extensive list of specialized media to which you can send press releases and articles. On the one hand, this is a good idea, on the other – the number of new blockchain start-ups and ICO is growing at such a rate that, in our experience, there is no need to expect a free publication on such resources (or it will happen so late that the ICO will be finished by that time). Therefore, when working with the media on the cryptocurrency topic, you should also draw up a budget for the promotion of the content. In the case of popular foreign media, prices can go up to tens of thousands of dollars: for example, an editorial board of one of our customer’s projects required $15 000 for an article on ICO. Given this fact, as well as the fact that blockchains use not only cryptostartups, but projects from more familiar business areas too (for example, digital-advertising and food-retail), in many cases the cost of promoting online media in the cryptocurrency segment is pointless. Instead, you can write columns in the media on your subject or about online business – especially since the latter are quite actively interested in this topic and can take not only an article, but also comments in editorials (an example of such an article). It also makes sense to study popular media with UGC content. The biggest of them In RuNet are Habrahabr and Geektimes, which have corresponding sections. Here you can apply a PR-approach to interacting with local bloggers: many of them divide the material into topics , so if they are interested, they can add the project to one of them. 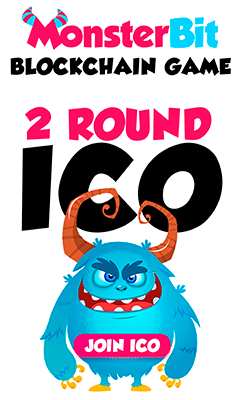 An analysis of the ways described of promoting ICO from the publication of announcements in calendars and social networks to working with the media and blogs shows that teams of popular ICO use them all. This requires a great deal of effort, therefore, it is necessary to plan in advance: it takes at least 2-3 months to prepare the announcements, images for social networks, columns and commentaries for the media and blogs. If you do not put it on and start preparation on time, then content marketing can be a good tool for promoting ICO.